New Delhi: Despite the Delhi high court clearing hurdles for the release of pensions to over 1,000 retired teaching and non-teaching staff at Delhi University, the central university has still not begun the process of releasing their monthly pensions. 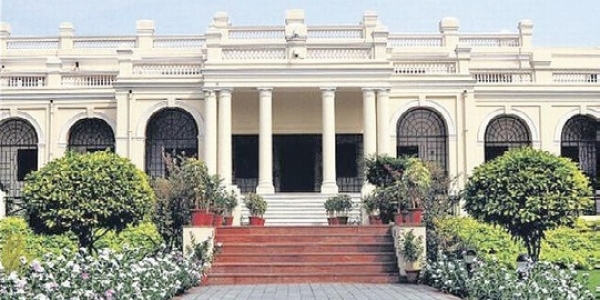 The issue finds it origins in an office memorandum issued by Delhi University on May 1, 1987, under which employees were allowed to shift from a lump sum retirement scheme under the Central Provident Fund to a pension scheme under the General Provident Fund, following the announcement of the 4th Pay Commission by the Centre. While many opted for the scheme at the first go, others opted for it when the university provided them another option after 1989. Some staff members did not opt for it at all. In 2014, the University Grants Commission (UGC) stopped the process of granting pensions to all Delhi University employees who had applied for the pension scheme after 1987. The Commission had stated that permission was not taken by the university before it allowed its employees to join the pension scheme. In all, 2,469 employees had been allowed to shift to the GPF by the university after September 30, 1987, irrespective of the option given by them. However, the worst affected were those who retired after July 2014, as the university arbitrarily stopped releasing pensions to them on the grounds of their cases being “sub judice“. These retired employees also suffered greatly as their central provident fund accounts had been closed for more than 18 years. The UGC’s decision and the block on pensions was contested by several employees through a bunch of petitions, first before a single judge bench of the Delhi high court and then before a division bench which finally delivered its order after treating the petitioners as three different categories depending on whether and when they had applied for the pension scheme. This comprised those cases where the petitioners had exercised their option to continue in the CPF Scheme after the deadline of September 30, 1987 during the stipulated extended period. This comprised those cases that exercised a positive option to continue under the CPF scheme on or before the cut-off dateand sought for extension of one more option to switch over from CPF to GPF. This comprised those cases where the petitioners had not submitted their option to continue with the CPF Scheme and as such stood automatically covered by the pension scheme by virtue of the deeming legal fiction created under the provision of the office memorandum dated May 1, 1987. In its order of August 24, 2016, the division bench had treated the three sections of employees differently. In the case of Category I, the bench held that it was of the opinion that “no infirmity can be found with the approach or reasoning of the learned Single Judge in allowing the respondents’ petitions”. It said the judge had made a factual analysis and shown that all the employees opted for the CPF benefits after the cut-off date. The bench held that the appellants could not argue that the benefit of the pension scheme should have been denied to these classes of petitioners/teaching staff. In the case of Category II, the bench held that “denying the right to opt to the Pension Scheme in the case of the Shashi Kiran batch (Category II) is unsustainable; it has resulted in arbitrariness”. Finally, in the case of Category III, the court had held that it was of the opinion that the submissions of the university, the appellant, in regard to the Virmani’s order, have no force. “There is no denial and there can be none that the nature of the scheme contemplated by the 01.05.1987 notification was to ensure that only those wishing to continue in the CPF scheme had to opt to do so. A default in that regard meant that the employee not filling his option (to continue in CPF) was deemed to have ‘come over’ or migrated to the Pension Scheme,” it held. Following the division bench order, the matter was taken up by the university with the Ministry of Human Resource Development for its direction on whether an appeal should be filed in in the Supreme Court. After receiving five letters from the ministry, the last being on May 23, 2017, the University of Delhi had filed a special leave petition in the Supreme Court on Category I and Category II (Sashikiran batch). Since it had not filed an SLP on Category III (Virmani batch), it had become obligatory on the part of the university to implement the judgment of the division bench in respect to this category and release the pension to those covered under it. They had also demanded that the ministry “start processing the transfer from CPF to GPF of all employees who have been awarded an unambiguous right to pension by the High Court” and a “due-drawn statement may be prepared and pension released immediately using the funds available”. It was also pointed out that “pension issue is one in which justice delayed is indeed justice denied” and that “several senior employees have lost their lives while waiting for the release of their pension”. The DUTA office bearers had also lamented that the continued denial of pension was leading to severe financial hardship and had impacted the health of retired employees adversely. The request to the minister for “urgent measures” to “secure justice to our most vulnerable and revered section, our senior citizens”, however, was not met with a response. Not getting their pension, many retired Delhi University employees were forced to move court again. One such employee was Manju Narang, who had retired as an associate professor of philosophy from Delhi University. “It (petition) is not for the grant of pension but for the release of the pension. That has already taken one year,” she told a news portal recently, adding that though a year has passed since she filed the plea, the matter has not been heard yet. Narang had also stated that while her pleas to Delhi University and the UGC had evoked no response, her college told her that her file was ready but it was waiting for the university’s approval to release the pension. It is pertinent to mention that Delhi University had finalised the gross pension of the petitioners and the colleges were told to calculate the net pension liability up to April 30, 2017 from the date of retirement after adjusting the CPF amount (employer contribution) along with the 8% simple interest, if any. Delhi University had on July 13, 2017 also intimated the colleges that they may initiate action for releasing the monthly pension in respect of petitioners of the Category III from the month of May 2017. While the colleges are learnt to have already calculated the net pension liability of the petitioners and sent their calculations to the UGC to deposit the amounts with the court, the release of pension is yet to begin. However, a recent DUTA letter to vice-chancellor Yogesh Kumar Tyagi on May 7, 2018 claimed that no progress has taken place. While a large number of teachers continue to suffer due to the apathy of the ministry and the university, the non teaching staff, who comprise 30% of the affected retired employees, are even worse off due to their low wages and overall poor financial condition. The news portal had highlighted the condition of one such former employee Ashok Sharma, stating that he had worked in different departments of DU as an administration officer but had not received any pension since he retired in mid-2016. It had quoted Sharma as saying that he was aware of families which were in dire straits due to the denial of pension. “Dewan Singh was a friend and a colleague who died after his retirement. His wife is suffering from cancer. Their only son is breaking his back to get his mother treated,” he was quoted as saying.